Hidden Parasites Can Cause Fibromyalgia, Fatigue, Anemia, Food Allergies and More. What You Can Do. 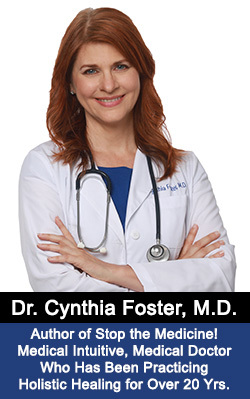 -by Dr. Cynthia Foster, M.D. Most parasite infections respond to 3 weeks of parasite-killing herbs. These herbs include wormwood, garlic, black walnut, and clove in addition to herbal formulas that pull the parasites off of the wall of the intestine - not an easy task. Parasites have specialized hooks and suckers that pierce the gut wall, and once they penetrate, they start sucking most of the good nutrition that you just ate, leaving you drained and hungry. 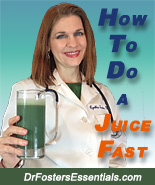 A full cleanse with the AntiParasite Cleanse Kit takes one month. Often, people do pass worms within the first week, but the herbs should be continued for at least 3 weeks in order to kill not only the adults, but the eggs and larvae as well. If you don’t kill all stages of the parasite, it can come right back. For a severe recurrent parasite infection, it can take more patience. The formulas in this kit can be taken for longer than 3 weeks and up to 2 months if needed without harm. They also kill Candida yeast and help cleanse the liver. The really outstanding natural healers of the past used lots of garlic in tough cases of parasites. Garlic is contained in the formula. Garlic is incredible in its ability to reduce high blood pressure, lower high blood sugar, lower high cholesterol, help heal infections, and kills bacteria, fungus, yeasts, viruses, protozoa, as well as parasites. If the infection is bad, juice fast during the 2nd week, and juice raw garlic in with the juice. 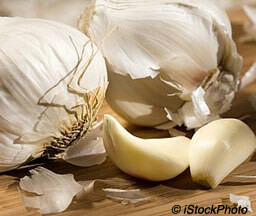 When food is introduced again, consume lots of raw garlic - around 3 to 6 cloves per day. Only juice or eat 1 garlic clove at a time to avoid stomach irritation - this is important – too much garlic at a time can cause nausea. Some people are sensitive to garlic and can get stomach pains with it while others are fine. Taking the formula with food usually helps in these cases. Parasite adults look like worms – they can be large like a tapeworm with many segments or they can be very small like pinworms and number in the hundreds. Flukes are typically round in shape and don’t look like worms at all. Parasite eggs look like small fragments in the stool that look like sesame seeds, sunflower seeds, and yellow corn-like fragments. Most of the time they float. When you kill them and they pass out of the body, they can fill up the entire toilet bowel, making it very obvious. 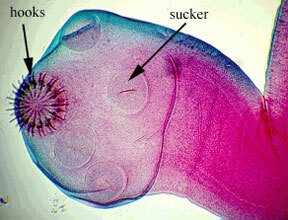 There are many types of parasites. Some are large and obvious such as the tapeworm. The most common type of parasite is the hookworm, which is the number one cause of anemia worldwide. There are also microscopic parasites – too small to be seen with the human eye, and this is why many people do not realize they have them. Parasites can travel from the colon to the liver and gallbladder, into the lymph system, and into the muscle tissues (mimicking the symptoms of fibromyalgia), and into the brain where they can cause seizures and epilepsy. They are most active on the night of the full moon, when they cause the most symptoms, which may explain why the most crowded night in the Emergency Room is the night of the full moon! I’ve known cases of domestic violence, mood swings, constipation, diarrhea, and fibromyalgia to disappear after a parasite cleanse. If you know anyone who is hostile or aggressive, get them to do a parasite cleanse! Others: Toxoplasma gondii, Cysticercus, echinococcus, Toxocara cani (in dogs), Naegleria, Leishmania, Trypanosoma cruzi (Chagas disease), T. gambiense (African sleeping sickness), Babesia, Dracunculus (guinea worm), Wuchereria (filiariasis) and many others. You can get them from undercooked meat, swimming in infested lakes, walking barefoot, and from your pets. They can be found in beef, chicken, pork, fish, animal feces, human feces, sheep, camels, rodents, snails, crabs, crayfish, foxes, dogs, cats, swine, mice, wild animals, grain beetles, mosquito bites (malaria), ticks, tap water, tse tse flies (Africa), sandflies (tropics, Mexico, South America), blackflies (Africa, Mexico, Central & South America), reduviid bugs (Mexico, South America), soil, pond/lake water. Many people can continue to get reinfected from their pets after they've just killed off their own parasites. Cats can pass the Toxoplasma gondii parasites in their feces, and people can get it from handling cat litter. Dogs can easily get heartworm parasites. Children can easily pick up pinworms. Sandboxes can contain cat feces. Hookworm is the most common parasite worldwide. 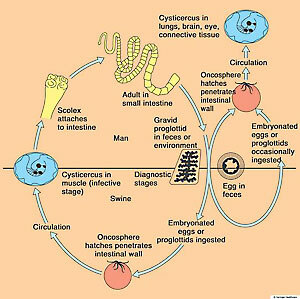 This parasite attaches to the intestinal wall and feeds on the host’s blood, causing anemia. It's important to deworm/deparasite all pets in the house and all other members in the household as well at the same time so that they do not pass on their parasites to you after you're healed. When deworming pets, the Anti-Par Formula is the only formula needed. This is due to their short digestive tracts, and they are rarely constipated. Wash hands thoroughly after playing with pets. Always wash hands before meals. Most prescription parasite medications can cause liver damage. The antiparasite herbs in the Anti-Par Formula do not damage the liver. On the contrary, they help to cleanse and heal the liver as well as the gallbladder, and in many cases, have been known to clear up Candida problems as well as other types of infections. Many people believe they have parasites when they actually have a Candida yeast problem. Other types of chronic bacterial and fungal infections can mimic the symptoms of parasites. 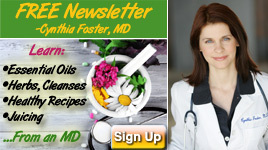 Most antiparasite herbs also kill Candida yeast, so when a reaction occurs, people believe they have parasites when they might actually not have them. If there is a Candida problem, the herbal therapy is essentially the same, but additional liver cleansing may be needed in order to cleanse Candida yeast from the liver, and sugars and yeast should be removed from the diet. The Anti-Par Formula works best if it is combined with the Vibrant Colon and Colon Detox Caps. 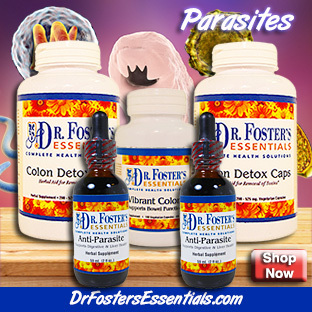 The Colon Detox Caps helps to pull the parasites off of the colon wall. It also absorbs any toxins the parasites secrete as they are dying. The Vibrant Colon also contains antiparasite herbs and helps push out the parasites (they're called vermifuge herbs.) Therefore, using the 3 formulas together avoids a lot of the unpleasant symptoms people experience when they simply take antiparasite herbs alone. Should I Take a Parasite Test? What if I Don’t Know if I Have Parasites? Sure. However, I’ve had lots of people who had a completely negative parasite test who did my parasite cleanse and passed toilet bowls full of parasites. I don’t know why the tests do not seem to be very accurate except in cases of severe parasites. Recent statistics have demonstrated a rate of higher than 80% of the population infected with parasites. People can suffer for years with parasites before their doctor thinks of parasites as a diagnosis. So it’s much better to assume that you do than assume that you don’t, and take a proactive approach. If you don’t have parasites, the herbs still cleanse the colon and liver, providing excellent benefits to health.